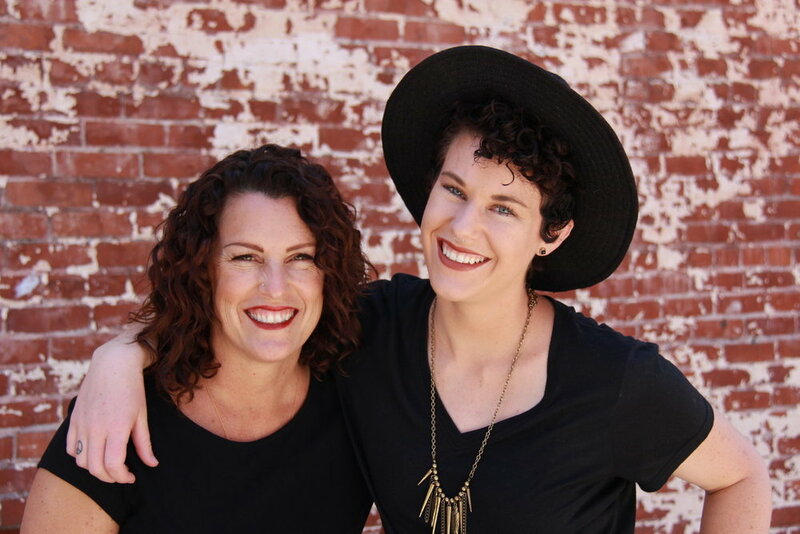 The Curly Cure aims to provide a loving approach and exceptional curly hair care education for those who have new found curly hair growth after losing their hair due to chemotherapy. Our vision for The Curly Cure is to provide curly hair education, services and products to help people experience confidence with their new found hair. The Curly Cure wants everyone to love their curls. And finally enjoy no frizz and soft, beautiful curly hair. Our goal is to help women feel better about their hair when going through this process. By donating haircuts during illness, helping with wig fittings and general questions about curly hair, we hope we can make this transition easier. Kim volunteers at the Look Good, Feel Better program at Hearst Cancer Resource Center and donates her time at her own salon in San Luis Obispo, CA. Her personal goal is to guide all salons in helping women feel confident and beautiful during this trying time. When I began as a curly hair stylist my intention was to help others feel great about themselves and their curly hair. Having curly hair myself, I knew the struggle of having frizzy and unruly hair. I was fortunate to find the right products and become trained in curly haircutting at 50 years old; from then I never hated my hair again. Soon after that as I was running my salons, my first experience was one of my regular (straight haired) clients asking if I could give her information for someone who was going through breast cancer treatments who's hair was growing back curly. I immediately felt so connected to this woman even though I didn't know her. The last thing she needed was to stress about her hair. I offered a haircut when she was ready to cut it short and I offered her a first time complimentary curly cut and education when she was ready. Months later a woman came into the salon with a similar story of a friend who had ended her chemo treatments and she wanted to purchase curly hair products for her. I gave this woman a heartfelt complimentary cut and education as well, even though once again, I didn't know her. Turns out a week later I would be sitting in the same restaurant when the girl and her friends were celebrating that she was finished with her treatments. The girl who bought the products screamed with delight, "That's the lady that gave you the gift certificate!" And hugs were all around. It was after those instances and many more intimate connections with women losing their hair that I knew I had found my place to give back in this world. I want every person going through treatment to know they can feel beautiful even with curly hair. Our intention is to help you manage the new growth of your hair.